Have you ever worked in an inefficiently designed office space? It can be an exercise in frustration, with problems ranging from a lack of proper workflow to poor lighting, a lack of ergonomics, and much more. Expecting your employees to perform to their best ability in a poorly designed office space can cause a lot of problems. A badly designed space can lead to poor morale. That’s not to mention the dent that a poorly designed office space can put into your wallet when it comes to having to spend more on rent in order to get the space that you need for your everyday operations. A new office fit out for Sydney offices, including those in the areas of Parramatta and Penrith, can change all of that. Crest Office Interiors offers top to bottom fit outs of offices in Sydney and other surrounding areas, which can help to improve everything from workflow efficiency to employee productivity. 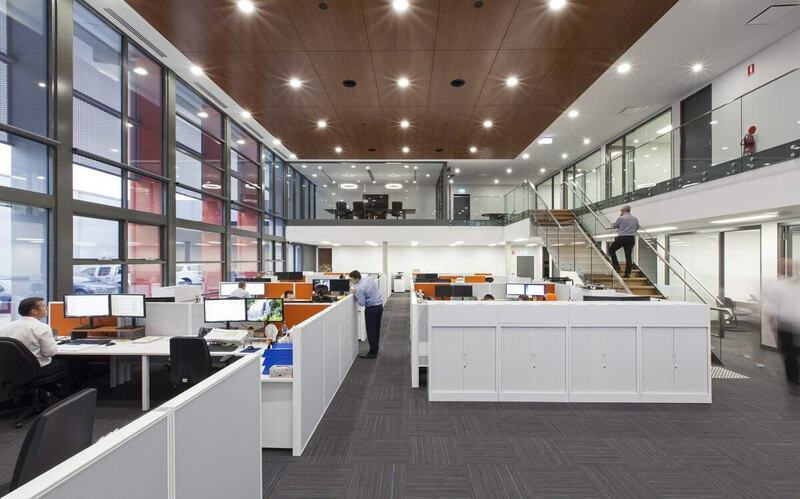 First and foremost, Crest Office Interiors can provide you with an office fit out in Parramatta, Penrith, and other areas of Sydney that will make your office space much more comfortable for your employees. They can do this by providing quality, efficient workstations that will help to give them the privacy they need to complete their tasks while promoting efficiency in the workplace. Additionally, factors such as high-quality lighting and ergonomically designed seating for everything from chairs for training sessions to meeting room setups can help reduce issues such as eye strain, back pain, and other problems that may arise in the office environment. But that’s not all that Crest Office Interiors can do for you with an office fit out in Penrith or Parramatta. When they say they provide top to bottom, fully integrated fit outs for office spaces, they mean it. Included in their fit outs are ceilings, flooring, plumbing, and even details such as high-quality air conditioning systems, which can help you to make the most of the entire office space. Crest Office Interiors can help you make the most out of any office space. In business for over thirty years, since 1982, Crest Office Interiors is an established design studio and construction company that specialises in helping create the perfect office spaces with their fully integrated approach to design. You can rely on them to help you meet all of your needs regarding your office space. You’ll love the way your office space looks, and your employees will love the comfort and efficiency that their design and construction experts can provide. If you’re looking for an office fit out in Parramatta or Penrith or any other location in Sydney, you can learn more about them at www.crestinteriors.com.au. Many photos of existing projects that they have completed are available on their site, so be sure to view them to see what Crest Office Interiors can do for your business.